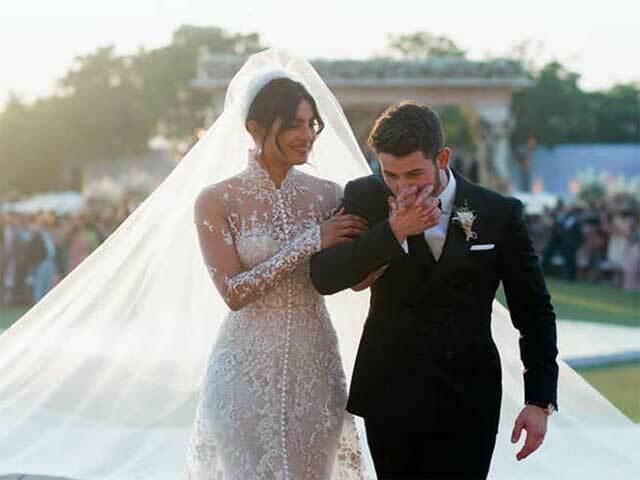 Priyanka Chopra's wedding gown was written on the name of Nick Jonas, and what was special. 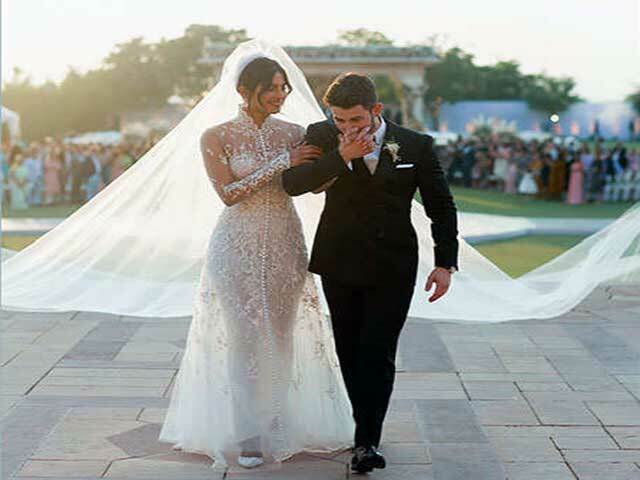 nick jonas name was written on priyanka chopra's wedding gown. 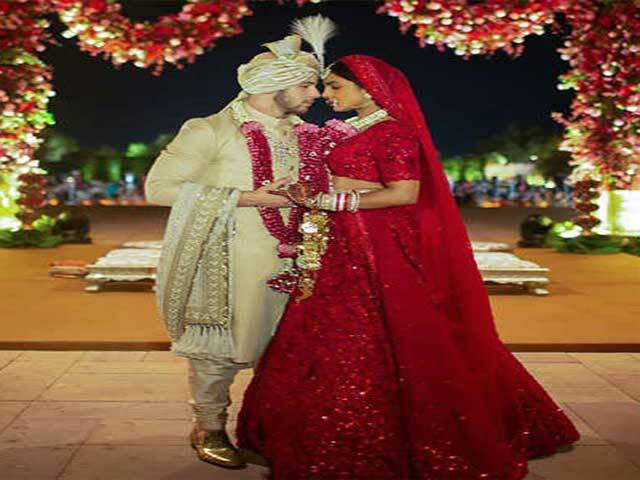 The wedding photos of Priyanka Chopra and Nick Jonas have finally come to an end. At the same time, the details of the marriage of both of them are also coming out gradually. 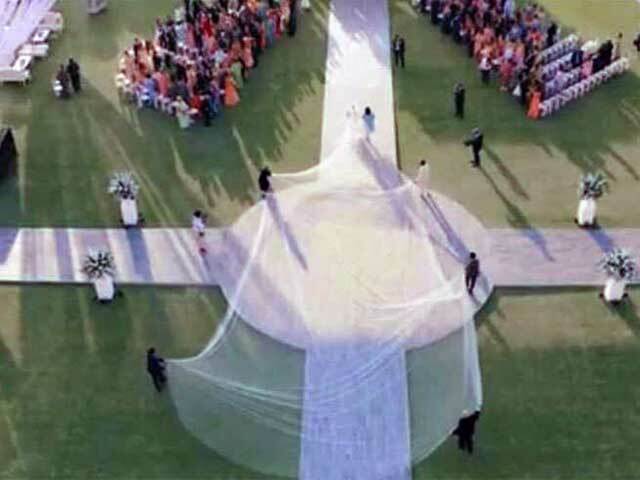 Especially, Priyanka's white wedding gown is getting exposed on such things that can surprise people. In an interview given to Hello Magazine, Priyanka said that when Ralph Lauren came to him about the wedding gown, the design he had appeared was like Priyanka's dream wedding dress, so he immediately told the designer yes. 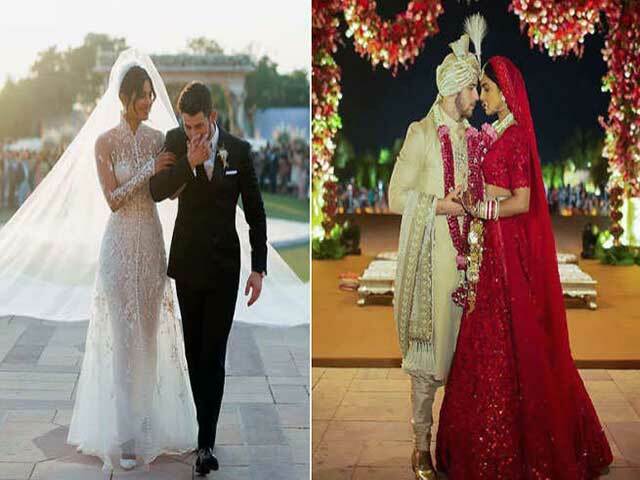 The most special thing is that the name of Nick Jonas was written in the dress of Priyanka, making the wedding dress more elaborate. Not only this, Priyanka had also used to wear a small part of the wedding gown of her parents and Nick's mother's wedding gown. It took 1,826 hours to complete the dress. It was decorated with 2,380,000 Mother of Pearls Sequence. There was a 75 foot tall val train in the Dreamy White Gown. Priyanka wore Jimmy Choo's White High Heels with it. In the dress of Priyanka, the design of beads and embroidery work was done by hand. In the dress, the floral and scroll motif designs, skulled sleeves and delicate tulle appliqués were inserted. Well Nick's Black Tuxedo was also not very special. On the right side of this double breast black tuxedo, a lace of Priyanka's wedding gown was set on the lapel on which Mai Jan was written. 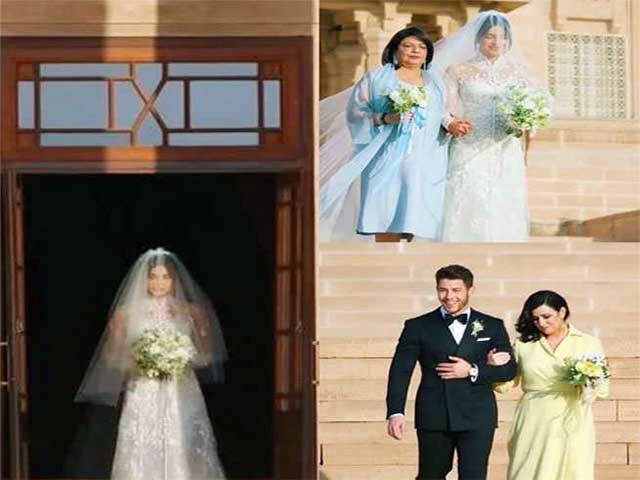 Nick and Priyanka were very impressive in Christian Wedding, but their Indian Wedding Look was also less. Priyanka Lal Jodi and Nick of Wight were looking very beautiful in Sherwani.